The camera never lies* – true to this statement , the view was as serene and beautiful as camera has captured. …but the moment was not. Looking at these images, I feel, images not only preserve our memories but they also sometimes tempt us to refine and enhance memories… based on how we re-interpret those images. 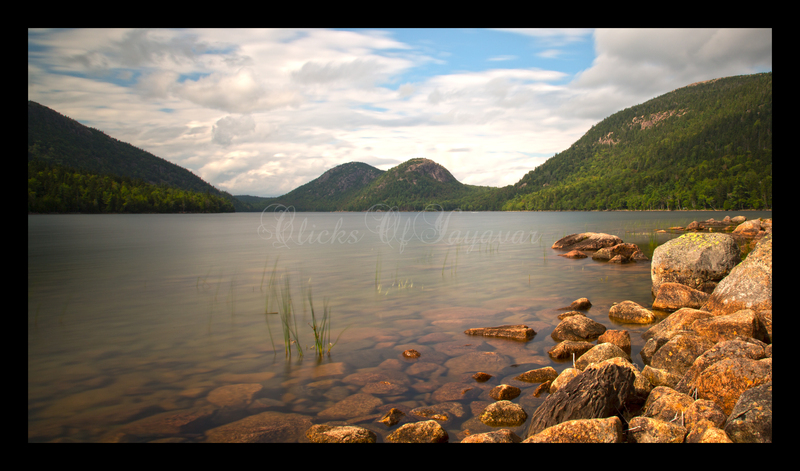 It was labor day weekend… and a hurriedly planned but memorable trip to Acadia National park. This view was in front of our eyes but around us was anything but calmness of these views. Acadia that weekend was a long-weekend-crowded-vacation-destination ! Rocks at Bass Harbor Head Lighthouse were filled with tripods mounted with cameras to capture the sunset… and hundreds of people with cameras in hand. Everyone was waiting patiently not to see and appreciate, but to capture, the perfect moment. I thought maybe the beauty of photography is – waste the moment to enjoy the very same moment again and again. And as Bertrand Russell said The time you enjoy wasting is not wasted time. Show stealer of moment was the obstinacy of a man who refused to leave the prime spot. He was sitting so perfectly on a rock that he became perfect spoiler of every picture perfect frame of the evening. Even after many requests and many rounds of negotiations he didn’t move. Ocean, light house, sunset, a beautiful misty evening, lined up cameras and that old man… made this whole moment rather funny. But finally, we manged to capture the view excluding the noise of moment . The moment at Jordan Lake was calm enough to make us took off our shoes and enter into the water. While sitting on a rock with feet in water I was trying to remember when was last time I entered in a lake. Do you remember when you did such thing ? (sea beach doesn’t count). *check out this interesting link to explore how many famous photos were not what you thought. It is about photo tampering but interesting to explore. Four and Six. 18 Nov	This entry was published on November 18, 2013 at 8:00 PM. 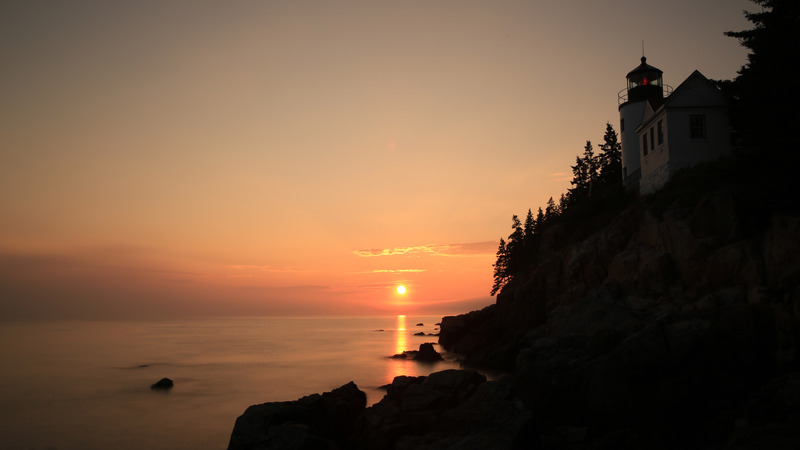 It’s filed under National Parks, US National Park and tagged Acadia National Park, Bass Harbor Head Light, Jordan Lake, Maine. Bookmark the permalink. Follow any comments here with the RSS feed for this post.